Organic pesticides are a must when growing an organic garden. These pesticides, which are free of harmful chemicals, protect your bounty from harmful insects during the growing season. There are quite a few types of commercial organic pesticides available in garden centers and hardware stores. However, it is possible to make homemade organic pesticides if you desire. Homemade organic pesticides use natural household items to deter pests in the garden. Different types of pesticides work best on different insects. Measure 1 tsp. of liquid dish soap, 1 tsp. of organic cooking oil (such as canola or vegetable oil) and 1 cup of warm water in a clean spray bottle. Screw on the cap and swirl to combine. Spritz the homemade organic pesticide onto the plants, making sure to coat the underside of the leaves as well as the fruit and stem. Allow the solution to soak in for a few hours. Wash off the pesticide with a garden hose. Repeat the process several times a week to protect your garden against aphids. Remove excess weeds and debris from the garden bed to eliminate shaded slug hiding places. 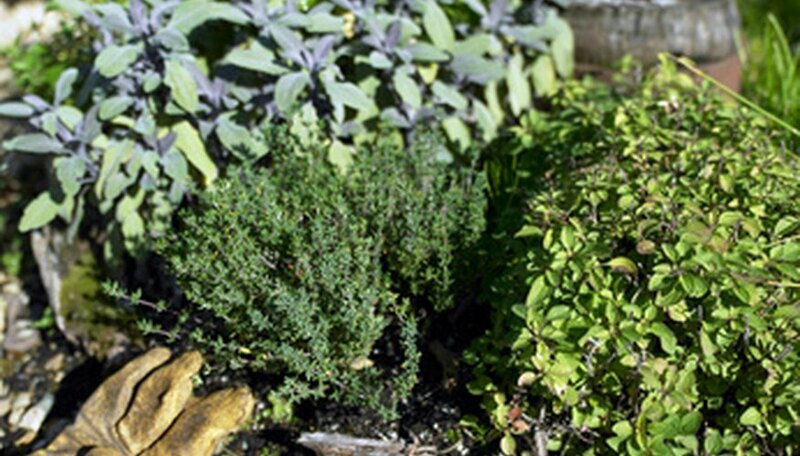 Fill shallow pans with beer and place them throughout the garden. Slugs are attracted to the beer and will crawl into the pans, where they drown in the liquid. Discard the beer and rinse the pans clean about every three days. Replace the pans of beer in the garden if desired. Mix 3 tbsp. of liquid dish soap with a gallon of water. Fill a clean spray bottle with the solution. Spray the soap solution onto the plants and let it sit for several hours. Rinse the soap off of the plants with a garden hose. This homemade organic insecticide should kill spider mites. Slice a half-cup of organic jalapeno peppers and peel a half-cup of organic garlic cloves. Place the peppers and garlic in a clear jar and add 2 cups of water. Screw on the lid and place the jar in a sunny spot. Allow the peppers and garlic to infuse the water for at least 24 hours. Pour the pepper pesticide through a fine mesh strainer and into a clean spray bottle, being careful not to get any on your hands or in your eyes. Spritz the homemade pesticide onto the plants. Make sure to rinse any fruits or vegetables you pick off of these plants very well before consuming them. Pepper pesticide will kill or drive away just about any kind of garden pest.